Personal needs and viewing preferences vary wildly, so one should ideally test several major web browsers before making a decision. No one choice is going to be perfect for everyone. Mozilla Firefox is a free and open source web browser descended from the Netscape Communicator. It is known for its championing of the open web during Internet Explorer's reign of terror and its extensive customisability via add-ons and settings. Nowadays, Mozilla spends more effort on combatting fake news and funding antifa than maintaining the browser. Firefox's recent move to WebExtensions has deprecated many legacy add-ons, but remains more customizable than most other browsers. SeaMonkey is a closely related descendant of Netscape Navigator - a more classic "internet suite" with mail and chat clients built-in. Based on Firefox ESR, SeaMonkey continues to support legacy add-ons. If you're thinking of switching to Chromium (Google's open source version of Chrome) instead, think again. For some time, Chromium snuck in a binary blob for voice recognition whenever you started it up. This has been removed by the project maintainers, but it should raise some concern over what else could be lurking in the code. The Brave browser is a privacy-focused open source browser based on Chromium created by Brendan Eich, punished Mozilla CEO. Iridium is a FLOSS fork of Chromium stripped of as many botnet features as possible. It used to phone home to Iridium's servers for development purposes, but it no longer does that. This is not where it ends, though. If you go to their homepage, and read what they have to say about the privacy of their browser, it reads: "Chromium (which Iridium is based on) is a very secure browser, yes. But it does call home to Google. And we did even more to enhance security to the maximum extent possible.". Smells like botnet. Last version to support Windows XP is 50, so if you're running it please use Firefox for your privacy and security, as it's continuously updated for now. Google Chrome is a botnet proprietary fork of the free and open source Chromium project. While effectively offering the same browsing experience as Chromium, it integrates Google's "Pepper" Flash plugin, a Foxit-based PDF reader and controversial user-tracking capabilities. If you value your privacy or reputation on /g/ and /tech/, it's best to avoid this one. Opera is one of the oldest web browsers that is still under active development. Up to version 12.16, Opera was based on its in-house Presto layout engine and characterised by its customisability, innovation, broad out-of-the-box feature set (including a torrent client, email, IRC and FTP support) and respect for web standards. Several now ubiquitous features like tabbed browsing and speed dial made their débuts in Opera. With the release of version 15, Opera development radically changed direction. Presto was discontinued in favour of Chromium's Blink layout engine and numerous features were excised, with the email client becoming a standalone program and GNU/Linux support and native 64-bit builds both being suspended (although the former has made a recent comeback). As a result, "Chropera" is often derided as a shadow of its former self, and a small minority of /g/ and /tech/ users fervently stick to the archaic old version. It was bought by chinks a few months ago, tread carefully if you do want to use the newest Opera. 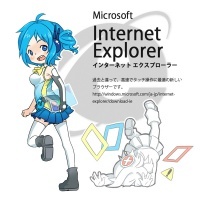 Internet Explorer is the default web browser in Microsoft's Windows operating systems, and is based on Microsoft's Trident layout engine. Before version 9, Internet Explorer was infamous for its myriad security vulnerabilities, poor performance, disregard for most web standards and perversion of the few that it bothered to acknowledge. Since then, however, Microsoft has been actively developing Internet Explorer into a tolerable web browser, and has even discontinued the brand name to distance themselves from its notoriety. Safari is the default web browser in Apple's Mac OS X. It is based on Apple's Webkit layout engine, a KHTML fork. Compared to Chromium and Firefox, Safari has a slow development cycle and is lacking in features. Vivaldi is made by the developers of classic Opera, who were apparently as frustrated with its change in direction as /g/ and /tech/, and attempts to bring back the feel and features of Opera 12. K-Meleon is a free and open-source Firefox-like browser for Windows. It uses the Gecko rendering engine just like Firefox, but sports a native Windows UI and is absurdly configurable. It also runs very, very well on Pentium M era hardware and below. SeaMonkey is a continuation of the Mozilla suite. Unlike most modern web browsers, it is an Internet suite, complete with bundled programs for email, IRC, and web design. It is compatible with most Firefox add-ons. Sleipnir is a proprietary Chromium fork with a superior, proprietary font rendering engine. However, it is only available on OS X and Windows. Midori is a lightweight web browser with a GTK+ interface. It is a component of the XFCE Goodies package. rekonq is a lightweight web browser with a Qt interface. It is a core component of the K desktop environment. Falkon (formerly QupZilla) is similar to rekonq by being lightweight and using Qt except it has more features. Otter Browser is a project that aims to recreate and improve upon the features of classic Opera using the Qt5 toolkit. It is in development at the time of writing, and is thus unsuited for general use. Luakit, Dwb, Uzbl and QuteBrowser are all minimalistic browsers with a keyboard-driven, Vim-inspired interface. Luakit is deprecated and most are based on archaic versions of WebKit. Surf is a browser developed according to the Suckless philosophy, which means it's effectively a WebKit frontend. Dooble is a web browser focused on security and privacy with many integrated features like support for advanced options and cookie management, Gopher support, a FTP browser, a file manager, a download manager, and many others. Konqueror is a Web browser and file manager that was once a core component of the K desktop environment. Webkit and Blink are both descendants of its KHTML layout engine. Links is a text-based browser that can display images. w3m is another text-based browser that can display images. ELinks is a text-based based web browser that runs from the terminal. Adobe Flash Player is required to play the flash video incorporated into many modern Web pages. It is infamous for being bloated, slow, and exploitable. While it is being phased out in favour of HTML 5 video, Flash is unfortunately still required in many cases. Flash should not be used on GNU/Linux systems, due to the fact that it is no longer being updated for that platform. This does not apply to Chrom* based browsers, which can use the pepperflashplayer. For a proper alternative to flash on browsers that don't support the Pepper Plugin API (PPAPI) like Firefox, look into freshplayerplugin, a ppapi2npapi compatibility layer that allows you to use Chrome's pepperflashplayer. The Silverlight Plug-In is required to play Silverlight content. Silverlight was essentially Microsoft's answer to Flash, but it has failed to gain any significant market share. Like Flash, it is being phased out in favour of HTML5. Unlike Flash, it is not common enough to justify its use. The Java and Java Deployment Toolkit Plug-Ins are installed with the Java Runtime Environment. While the Runtime Environment itself is often necessary for the use of desktop Java software, these plug-ins are extremely vulnerable and rarely used. They should be disabled in all cases. Appchan X is Zixaphir's fork of 4chan X. It combines the features of 4chan X with the rice of the Appchan and OneeChan style scripts. Since January 2015, development is not very active, but pull requests are still accepted. loadletter's 4chan X is a maintained version of MayhemYDG's v2. It lacks the controversial changes made by MayhemYDG in v3. It is a shorter script, and the only maintained fork that supports Opera 12.
ccd0's 4chan X is the continuation of Spittie's/Seaweed's 4chan X.
Aeosynth's 4Chan-X was the original version of 4chan X.
MayhemYDG's 4Chan-X was the official  continuation of Aeosynth's popular 4chan X script. It may still work for you until moot changes the site. The Chrome version is in the store here. Mayhem no longer distributes the Firefox version of his script, so here is a script compiled from the latest source code on Github. ihavenoface's 4chan X added features to MayhemYDG's 4Chan X. Not officially abandoned yet, but not updated since September 6. Note that the last released version (v3.13.15) contains security flaws that allow scripts from 4chan or the archives to read data from any website; however, it does not appear to be able to read data protected by a session cookie. The problem has been fixed, but a fixed version has yet to be released. Anyone concerned about the issue is advised to compile the script from themselves from the source code on Github. Seaweedchan's 4chan X was a popular fork of 4chan X. Developed in collaboration with Zixaphir, it offered several controversial features over Mayhem's fork. Additionally, several potentially obnoxious features were made optional, such as the fixed header and the clearing and redownloading (via JSON) of the thread index. Spittie's 4chan X was a fork of Seaweed's 4chan X after it was abandoned. Anti-Adblock Killer prevents various anti-adblock methods from being effective. For best results, it must be used in conjunction with its set of Adblock Plus filters. OneeChan is a script for customizing the look of 4chan. Unlike Appchan X, it packaged no 4chan X features. Originally by Seaweedchan, its maintenance was continued by Spittie and now Nebukazar. 4Chan Linkify changes plain-text links on 4chan into hyper-links. It is redundant if either 4chan X or the official extension are used. uBlock Origin is an adblocker that is very efficient on system resources. This is the original source, and works on Firefox and Chrome/Chromium. uMatrix is to NoScript and RequestPolicy what uBlock Origin is to Adblock Plus/Edge. Allows seamless blocking of local or cross-site scripts, images, cookies, and more in a slick, low-memory package. YouTube Center seamlessly integrates many features like video downloading directly into YouTube. Seems to be broken, at least on Pale Moon 25.8.1 (x86). Youtube + is similar to YouTube Center in that it adds many features to YouTube. Notably, the option to disable much of YouTube's fluff (recommended channels, comments, etc). Does not come with an integrated download button. ViewTube forces HTML5 to be preferred over flash on a variety of popular video sites. ViewTubePlus is like ViewTube, but for pornographic sites. FastestTube Useful tool for downloading YouTube videos as well as disabling annotations and ads, works with most browsers. Firefogg - WebM converter for Firefox. This page was last edited on 17 April 2019, at 05:25.